Hotel TV Revenues are in tremendous decline. This new Hotel TV solution allows properties to save up to 80% on hotel entertainment expenses and can be monetized beyond the guests stay. BroadView Live is the latest alternative for Hotel TV beyond cable, satellite and other hotel IPTV systems. The newly launched product from BroadView IP allows hospitality providers to bring entertainment revenues back to the glory days of video on demand and drive continuous commissions with the ability to generate revenue beyond the guest’s stay. This revolutionary global service offering delivers millions of TV episodes, movies, live channels, live events, music videos, radio stations, games, and more across the hotel network, in the guest rooms and onto guest devices. BroadView Live also allows guests to cast content from their mobile devices to the TV. BroadView Live delivers thousands of times more content at a much lower cost compared to traditional entertainment providers, and is much more affordable than current hotel IPTV services by a wide margin. Hotels are able to save up to 80% on their hotel TV and entertainment costs. BroadView IP’s platform is available worldwide as a licensed, or co-branded product, meaning that any company that is suffering from large cable and satellite billing and associated fees, coupled with the changing media environment can employ new services and begin monetizing consumers’ new behavior such as Guest BYOD (Bring Your Own Device) rather than suffering from it. This entertainment platform is able to be delivered through branded applications for mobile devices, a branded Smart Guide URL for use from any PC or laptop accessible through a network or landing page, and a customizable set top box solution. The aggregated Smart-Guide is tailor made for consumers to connect with global entertainment content and OTT featuring over 300,000+ TV Episodes, 200,000+ Movies on Demand, 5,000+ Live Channels with an interactive programming guide (IPG), 50,000+ Radio Stations and a Subscription Manager so users can watch their paid OTT services such as Netflix, Hulu, Amazon, Spotify, Pandora and many more. BroadView Live connects users to a world of entertainment, on their device of choice, and on their own terms. This allows for hospitality providers and network operators to recapture audiences otherwise lost to the expense or piracy by directing those users back to existing legal and monetize-able quality entertainment sources. To arrange a demo of this service offering, please contact Inquiries@BroadViewIP.com. Hotel properties have suffered from a dramatic loss in guest service revenues starting with the in-room telephone, high costs for low rates of bandwidth to dwindling pay-tv take rates. Device mobility has allowed for guests to continue to circumnavigate the ways hotels can charge for sponsored technology services using everyday applications such as Skype, personal Wi-Fi hotspots and entertainment services such as Netflix and Hulu. This is leaving hotels scrambling to find superior ways to introduce new applications that can capture the guests’ attention and accelerate immediate purchase decisions. For the past decade, High Definition (HD) has been the standard in video production. But a new wave is about to hit the market — 4K video content is poised to take over. Every week, new 4K Ultra High Definition (UHD)-enabled televisions sets are hitting storefronts and soon it will become the standard for all kinds of interactive displays. Unlike the clumsy HD rollout over a decade ago, 4K has been better planned which will make for a much easier transition into people’s homes. 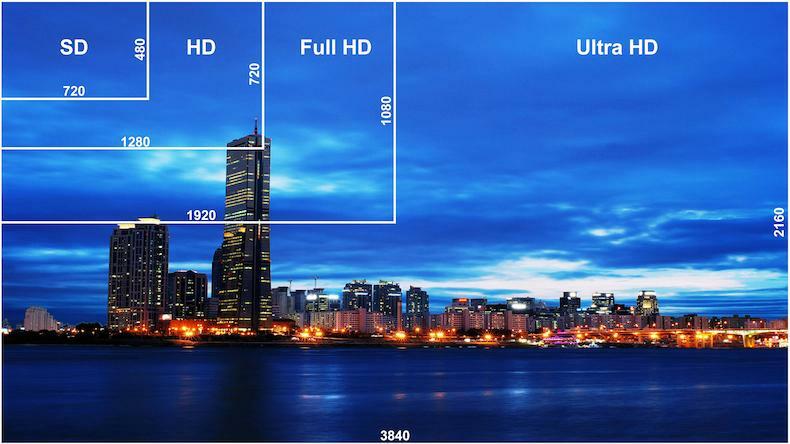 In fact, much of the technology needed to deliver 4K video content is already in place (i.e. Blue Ray Disc, HDMI 2.0, etc…). Streaming 4K video still presents a daunting task for the cable industry. The good news, however, is that high-speed internet connections offer the perfect alternative for delivering 4K content into people’s homes through Mobile, OTT and IPTV devices. The primary challenge with delivering 4K video content is the sheer volume of data required to produce the images at the required bitrate. Essentially, 4K video quadrupled the number of pixels on the screen from 2.3 million to 8.8 million. Producers love 4K because the extra data gives them editing options previously on dreamed about. Consumers benefit from added pixels by getting better resolution on their television sets. The clearest, most lifelike pictures ever seen are now available on any 4K television or display. The issue, however, is delivery. Most cable providers cannot provide the type of speed necessary to handle the heavy data requirements of 4K. High speed internet offers the perfect solution and internet protocol television (IPTV) providers stand to gain the most from this new reality. One of the primary advantages of 4K is the ability to create an immersive effect. In other words, 4K has the ability to make the viewer feel like they are part of a scene. The reason it can produce this effect is that the higher resolution images allow the viewer to sit closer to the screen without the image breaking down and distorting. Even with HD television, the viewer must sit appox. 10 3/4 feet away from the screen in order to get the optimal picture quality. With 4K, the viewer can sit closer without the image breaking down, which allows them to get immersed in what they are watching. But in order to deliver this quality of content, you need someone understands the technology and market. This is where the skilled professionals at BroadViewIP can help. We are experts in the video content sales, licensing, and distribution to a wide range of MSOs, MVPDs and a variety of other network operators. Our wide range of ancillary video content and linear channels features high-quality digital entertainment in HD and UHD. By offering all of these options including 4K content, BroadViewIP can help you gain the advantage over your competition by delivering quality entertainment. Scatzy Digital, LLC (Boston, MA.) has contracted BroadView IP, LLC (Tampa, FL.) to provide a unique, managed video content sales platform in connection with a first-ever simulcast release of a South African movie available for purchase on streaming VOD worldwide available on ScatzyMovies.com . This is a special, simultaneous release on Video On Demand on the same day it was released in theaters, a first for South African film makers. The next-generation in Hotel VOD/Hospitality Video on Demand. Compatible with multiple devices, allowing for a custom-tailored video content purchasing environment. Featuring New Release Hollywood Movies, current Music, E-Books and Adult Entertainment for Rent, Stream or Download. NRoom is a managed video content service platform to replace traditional location-based VOD entertainment. Our solutions are flexible to provide the ability for viewers to rent or download which allow locations to earn more revenue than traditional VOD offerings. Our Video content service offerings are compatible for any device from TVs, PCs, Android or IOS. Music Video Channels – a new addition to BroadView IP! Content updated on a monthly basis. Available as a linear channel or VOD Content. The largest catalog of music video channels in the world, featuring new and diverse music video content with no break in advertisement, all channels feature 24 hours of pure music. Premium music channels meaning amazing, unique and authentic rotating music video content. 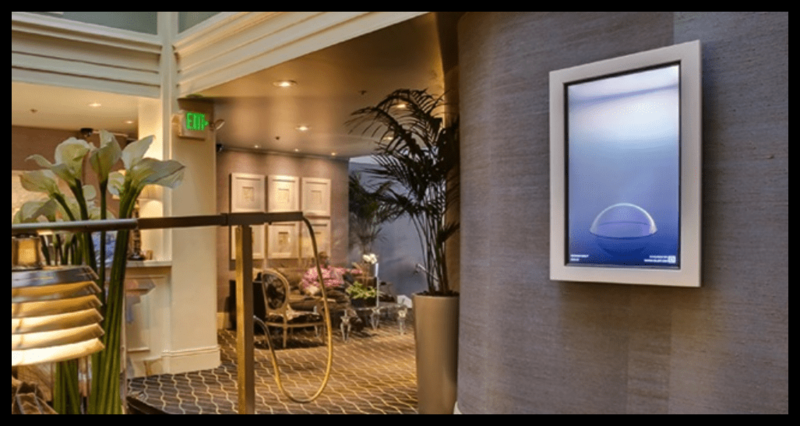 Truly innovative- Rotating interactive Fine Art Channel Content enhances any space. Turn the television into a digital canvas that displays fine art and provides residual revenue! Allowing video content providers and locations to sell and earn money offering fine art for discovery. Providing a dedicated art experience for your viewer, a portfolio of photography and paintings selected by a team of curators who are dedicated to choosing art that appeals to a diverse range of tastes. Interactive services allow for the viewer to learn more about the artist, the story behind the art and buy the originals of the art they love.